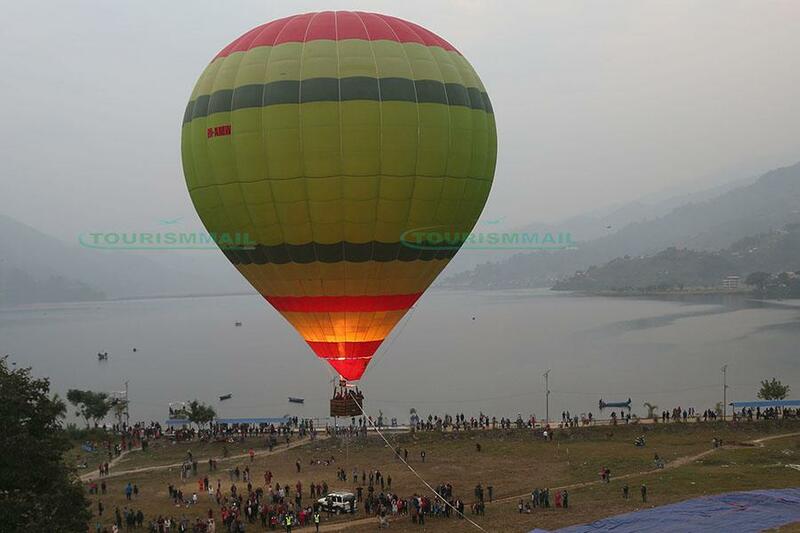 POKHARA, Nov 17: When a giant colorful balloon appeared in the ground near the pristine lake of the Fewa Lake in Nepal's most popular tourism destination Pokhara on Saturday morning, hundreds of people gathered for the unusual scene with excitement. 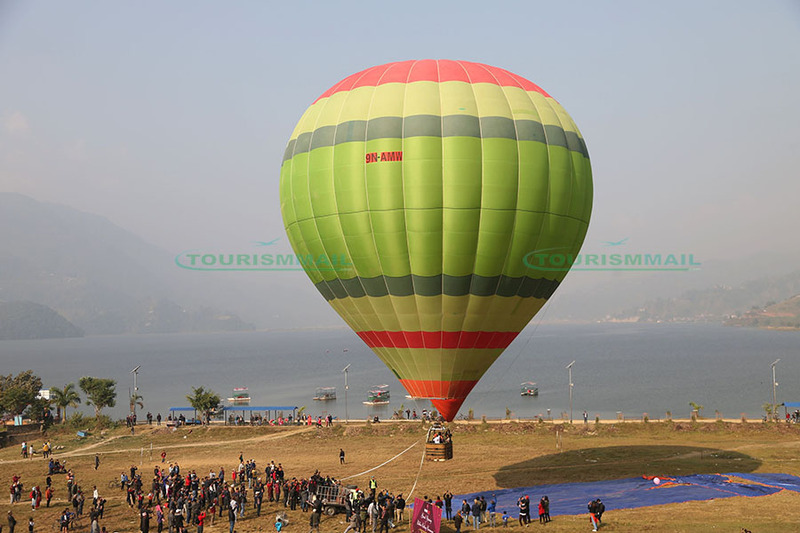 "The hot air balloon will definitely contribute to the tourism of Pokhara. I believe that it will enable the tourists to spend more days in the city to indulge in such recreational and adventurous activities. It's a positive start," Gurung told Xinhua after experiencing the balloon flight. Balloon Nepal Pvt. Ltd started the balloon flight service with an investment of 15 million Nepali rupees after receiving authorization from Nepal's Civil Aviation of Authority, with two balloons bought from a Spanish company. "Through the balloon flight, one can feel the majestic Himalayan ranges and the beauty of Pokhara closely. We want to support the tourism of the country through this recreational aviation activity," company secretary Prabin Maharjan told Xinhua. Maharjan said that as step one, the company is starting its commercial operation from Dhampus, a village located some 22 km away from Pokhara. The flight will enable the passengers to have a view of five mountains - Annapurna, Dhaulagiri, Fishtail, Mardi and Himchuli. Pilot Nitesh Parheik, who has been working in this industry since last few years, told Xinhua, "Pokhara valley is beautiful and people can see the stunning views of mountains from the top, so I think it's a perfect destination for ballooning." The pilot, who has an experience of flying up to 10,000 feet, told Xinhua, "The balloon flight is totally safe as we follow globally recognized standards of safety. Passengers' safety is always the foremost priority for us." The 26-year-old photographer Yush Dangol, who experienced the balloon flight on the opening day, told Xinhua, "It was my first time for such air adventure and it felt really amazing. I could see the good view of the city from the top." Air sports is quiet popular in the Himalayan country, especially in the lake city Pokhara, which has been the major attraction for tourists. Besides hot air balloon, Pokhara hosts air activities like paragliding, ultralight flights and sky diving among others.